We need to remember this in business. When we forget our graciousness – we can end up upsetting everyone in our desire to promote ourselves. I just finished a day long workshop in Ottawa and had two interesting experiences with what I’ll call ‘hijacking’. 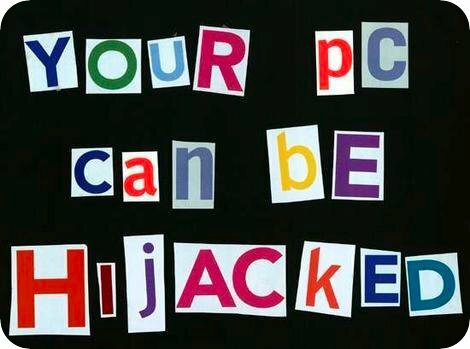 Well, sure – your PC could be hijacked by some hacker. People can hijack an airplane. But people can also hijack conversations and events to serve themselves with no regard to the impact on others. It’s when people let you do the heavy lifting and then try to siphon off or get benefit without giving anything. Like a parasite – but more aggressive. One lady had to leave my workshop early and asked me if it would be okay if she left two of her business cards on every table (two people per table). I told her ‘no. that would not be okay. You can talk with people and give them your cards if they seem interested.’ At dinner, I was told by some of the participants that she did it anyway. What strikes me most about this (besides her breaking her agreement) is that what she did is useless. All of those business cards will be thrown out. It’s a waste of paper. All she’s done is given people something to recycle. In a single move, she’s annoyed everyone in the room and myself. Not good marketing. Not building trust with people. Then at the end of the day – right as I had finished wrapping up and good vibes hung in the air – another woman stood up and made a shameless plug for her sound healing concert coming up – and that if anyone wanted free tickets to give away to let her know. She didn’t even ask permission. But she took the most sensitive time of my event and used it for her self serving benefit. Neither were very gracious (though sweet and well meaning). I spent months promoting these events and getting ready for them. I invested a lot in making sure they all got welcome calls. I led the entire workshop – and they hijacked the space for their own benefit. And that leads me to say: don’t do that. Hijacking the table: Says my facebook friend, Nicholas Freer “people always want to leave brochures about rather un-related events at our Gaelic table at the Highland Games.” My friend Rob Helmer also finds this at his space The Inner Garden when he hosts events. People leave a stack of their cards or brochures at the table by the door. He already has some out where he promotes his friends – but then people assume it’s cool to leave theirs and then Rob has to clean them up and ultimately toss them. Don’t hijack the table. Ask permission. I agree entirely. If you want to promote your business, do it in person (especially when appropriate – if it doesn’t make sense to, don’t force it on someone either), or at the very least with the permission of the host(s). not only should it be common courtesy, but if you want to have your business promoted by the host, then help them with their business, event, etc. so that it’s mutual and agreed upon. most businesses are built upon relationships, referrals, and word-of-mouth, no matter how good or how widely dispersed your marketing is. in the end, especially in the age of easily accessible information, reviews, and comments (digital or real-life) are far more harmful if you haven’t shown your effort in being appropriate and courteous. just my two cents! 100% with you on that one, Tad. Sending love your way. I recently discovered a yoga teacher in Vancouver who had lifted my wording for Yoga for Round Bodies to describe her new yoga classes for Rounder Bodies. She lifted three paragraphs, changed a few words in the first two, and left the third completely ‘as is.’ I emailed her to convey that I was disappointed that a fellow yogi would do this with another’s work. I had also noted in her bio that she listed having two MBA’s, hence no stranger to the concept of plagiarism. She wrote back to me in a scathing tone that I was “one of those” people who wanted to brand my own form of yoga, and that people like me were ruining the depth and beauty of this ancient practice with over-commercialization. I wrote back to remind her that nowhere in my response had I claimed any ownership of the title “Yoga for Round Bodies,” that it’s already in use by others besides even me. I did object to her hijacking my work, however. She did not write back, but did at least use her own creativity to write her own class description. I felt violated, I was angry. That someone would see something that looked like a good idea, initiate it and not even take the time to write their own description. And then, as in one of your stories above, got really defensive and nasty when called on their bad behaviour. Yuck. I *want* to see Yoga for Round Bodies proliferate, it’s part of my diabolical plan . If she had asked me if she could use my words, I would have had the opportunity to say yes or no, and if no, I likely would have helped her come up with her own if she wanted the help. Ironically, I left a few postcards of my treatment-room-for-rent on the coffee table at the Inner Garden at your Toronto one-day workshop! Here’s where “assuming” gets you in trouble: it was after lunch and I had noticed that material on the table was from some of the participants, so I added mine thinking it was the “designated place” for us to put our literature. I guess quite a few of us assumed. My apologies to both you and to Rob! Well, I was at this same session. #1. WOW, I didn’t know much about this woman, I just found that handing out cards table to table (especially without engaging her recipients) is both rude and useless. Morally, I hate being stuck with a piece of paper to drag around to recycle. I had no idea that she had asked for, and be denied, permission to behave badly. I don’t think the woman at the end of the day was aware she was committing such a faux pas. She just needs guidance, which the Universe is providing her with. TAD, I’ve actually DONE more home-work for YOUR seminar than I think I have ever done within such a quick turn-around. SO HAPPY to be excited about turning my business in a good direction! Hey Tad, I love this article! Although I never was able to attend your workshop in Vancouver, I wish I had because the vibe and response here on your blog is astounding. I want to share your page on my blog because I think it’s great. What do you say? Can I have your permission to do that?